Q3 in the FAL is always my hardest to decide on the list. I am going to be at the beach for a good chunk of it (leaving soon I hope) and there is just less time and inclination to sew there. So in many respects, work on the list may be pushed in September, but who knows what one wants to work on then?? I hope you are making your list too, it is time to link it up over at Katy's blog, the Littlest Thistle. You can jump into the FAL now, no need to have been part of it up to now, but you only have till July 14 at midnight, Scotland time to get your Q3 list linked, so time to get to it. 1. The No quilt is a project near to my heart, and has sat mostly stalled. 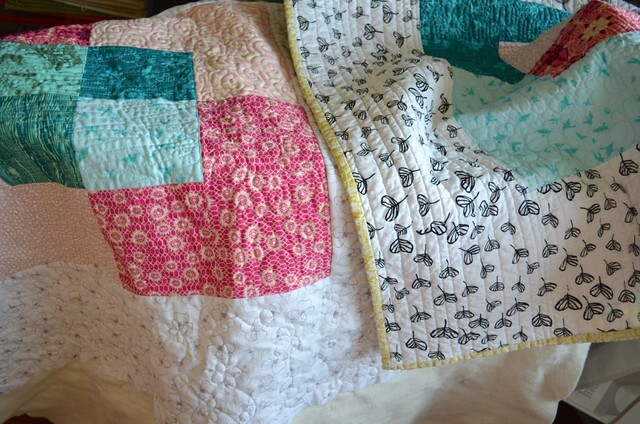 I am putting it on the list because I really, really want this quilt finished. I have sent this project out to the beach ahead of me, so maybe it will come together. 2. Mystery quilt - This is the most beautiful quilt top I have made - Sheila's pattern and teaching have a lot to do with that. I have been too scared to quilt it, but now I have the long arm. I have had a fair bit of practice. I am hoping this will be a September quilting project and finish. 3. Ocean Waves - these are the blocks are from my bee mates in Always Bee Learning. I'm going to cut the fabrics for six more blocks so I can finish off those open "circles" at the top that have been bugging me. 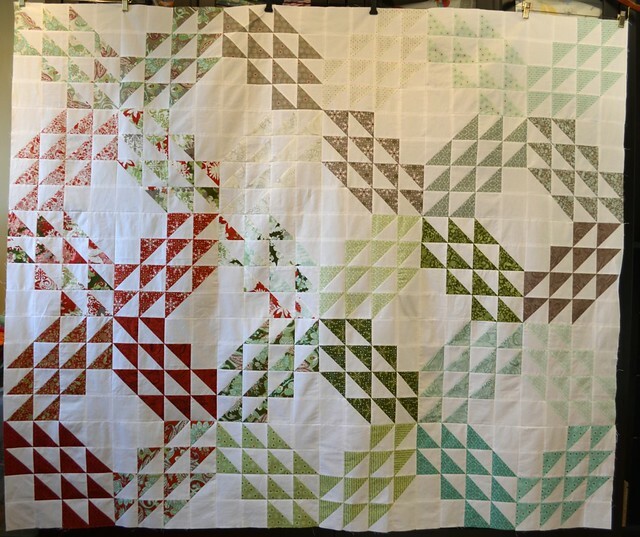 If I can get the blocks done this summer, I can quilt the top in September and have it ready for the holiday. You might not see it well but these are lovely winter, holiday fabrics. 4. 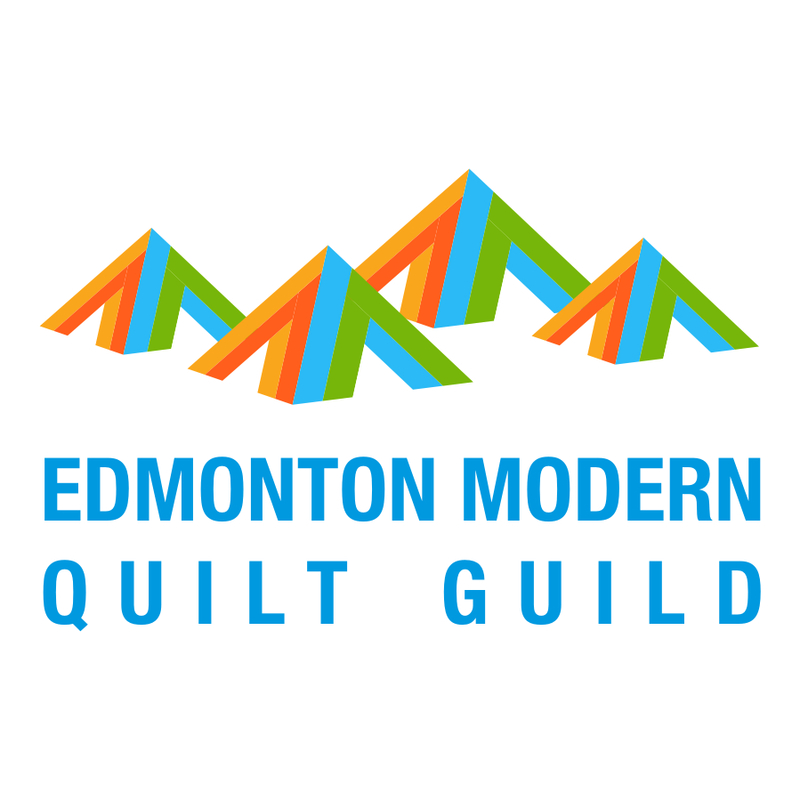 Modern Quilt Guild Michael Miller Fabric Challenge quilt - clearly it needs a better name. This is due soon, and needs a binding and a wash, so I am hopeful it will for sure be done. A project with an impending deadline will ensure I have at least one finish to report later, right? 5. Quilt this mod 70's style Canvas pillow top and make a back and install the zip. It's going in my suitcase, finished or not. I wanted it for the sofa at the coast, I best get it done. 6. The other mod 70's Canvas pillow: ditto. 7. 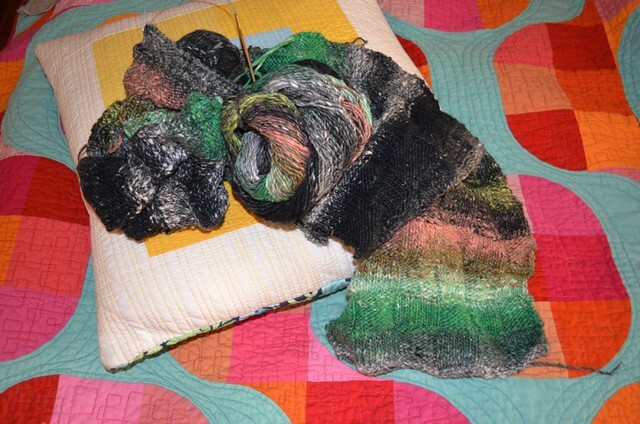 Patchwork-like knitted scarf: I started this last summer at the coast, so it is fitting that I finish it this summer. I have a dream of wearing it in November with a new fall jacket. Maybe a cool leather jacker? I have about half finished now, so totally possible, another for the suitcase. 8. Two bindings - It seems like a cheat to list these separately as they have always been a pair in progress. The Canvas baby quilt on the left needs to be trimmed and bound, the one on the right needs a binding removal and replacement. Why has this been stalled for a couple of months now, it is a project that takes no time at all? Putting it on the list may get it done. It's a beautiful day and besides this list, my yard needs my attention and I need new running shoes. Enjoy your Saturday, link up your Q3 lists. I hope you get those done since I want to see them finished :-) They are lovely! Such a great list. 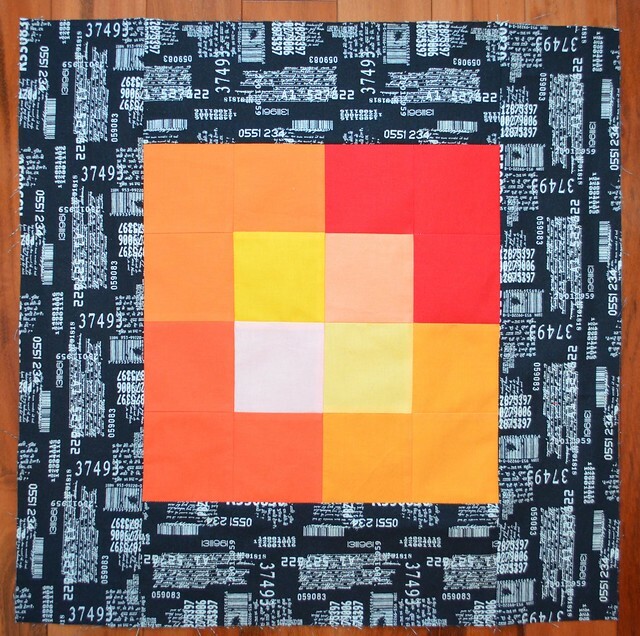 I can't wait to see what you do with the sampler quilt! 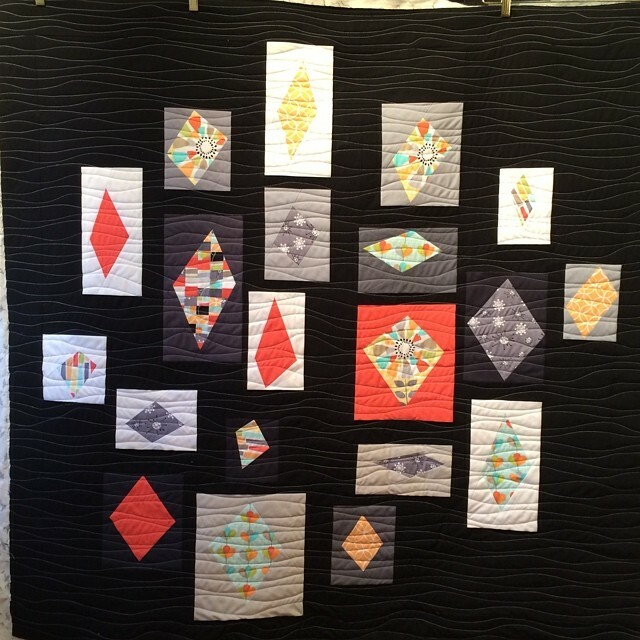 I LOVE your MQG Challenge quilt! 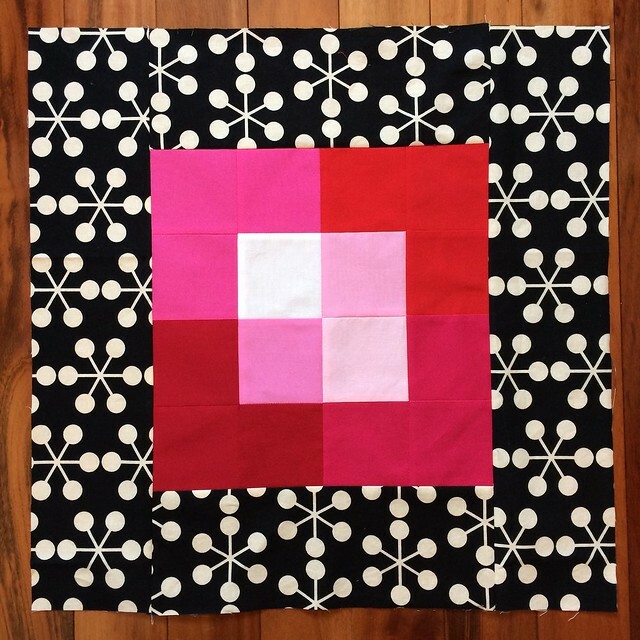 The black background and the wavy quilting are perfect for this one! 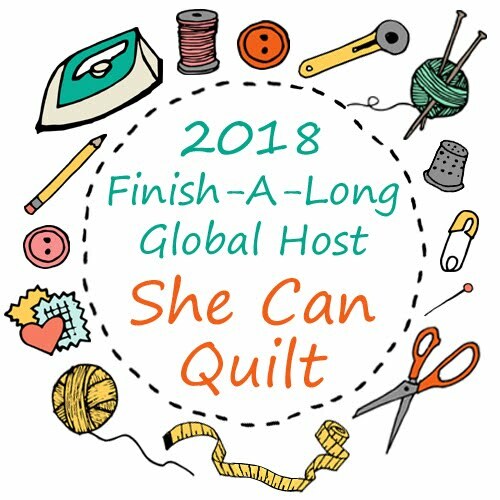 great list and looking forward to seeing that challenge quilt done soon - and those cushions. I need to do that! I wish I was heading to the beach but then I'd get nothing done! You're more ambitious than I would be with the lure of the ocean. Beautiful colours and patterns to go with too. Loving your mystery quilt! A great list. Enjoy the beach above all though. September can be busy if nec and tere's always qtr 4. The beach will restore your balance and recharge your batteries! It is a beautiful day....I'm sitting with my feet up, enjoying the sun. Impressive list.....as usual. They are all so beautiful and also so different. I look forward to seeing them completed whenever the winds of Fate allow you to. 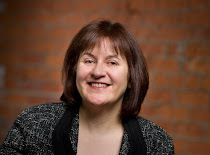 Good luck Leanne on finishing your beautiful projects! A very achievable and variable list! Good luck with your 3Q goals! A beautiful list Leanne. Lets do this! Good luck with that list! Think there's room in your suitcase to take me to the beach? Most importantly, have a great holiday! good luck with your finishes and have fun at the beach! I've had a "No" quilt in mind for years now - just can't seem to say "no" to other projects so that I can get it started! they all make me tired! I know I will probably make just as many finishes, but it is better for my brain to not list them. The list will make me tired! Have a great time out at the beach - I don't have any summer vacation plans, we tend to travel in the fall. I have a gran baby to sew for this month if I can get my bum in gear. 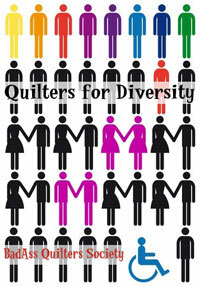 You have beautiful projects next quarter - cant wait to see the No quilt progress!